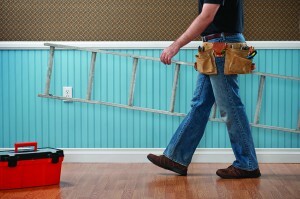 Chicago Handyman Home Improvement services can update your home or office with a fresh look. Door Installation by Chicago Handyman. We focus on precision accuracy. 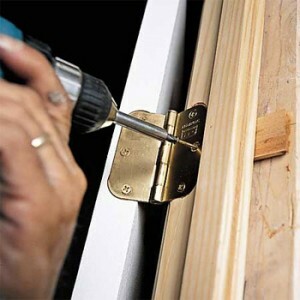 Door Installation – Interior or exterior, door installation is a job that takes the utmost precision. A properly hung door will be level, quiet, and only move when force is applied. Hanging a door with care will ensure its proper function for years to come. An improperly balanced door installation will cause wear and tear on the hinges incurring repair cost in the future. Kitchen Remodeling – New Cabinets, Counter Installation, Garbage disposal installation, new lighting installation when you are ready to remodel your kitchen, come to the experts at Chicago Handyman. Your home improvement projects area a breeze. Painting – nothing changes the look and feel of a room quite like a fresh coat of paint. Drywall – Drywall is big and cumbersome and dusty. When it comes to drywall installation, leave it to the pros at Chicago Handyman. Sometimes you get a hole in the drywall. It doesn’t matter to us how it got there. What matters to us is making it look like it never happened. Chicago Handyman drywall repair service is prompt and clean. Stairs – whether adding carpet, refinishing hard wood, or installing an entire set of stairs, We’ve got you covered. Need a spiral stair case? We work with the best Metal shops in Chicago, that means you get the highest precision metal work available.